I am often asked questions like does baking soda get rid of heartburn or is baking soda for acid reflux any good? Well yes in fact baking soda for heartburn does actually work though there are a few things I want to make you aware of when it comes to using baking soda to treat heartburn, so you properly know how to make use of it yourself and how exactly it works and treating the root cause of the problem. How Baking Soda Works To Help Heartburn? 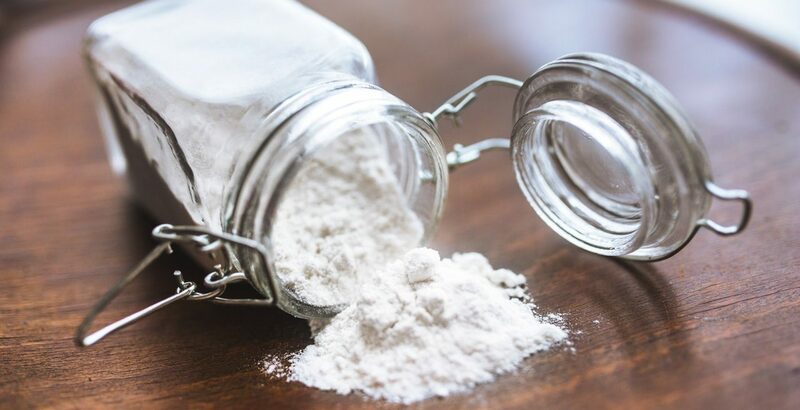 When you are using baking soda to aid heartburn it basically acts as a baking soda antacid mixture, to make this mixture you will mix it the baking soda with water and this combination makes a water that is alkaline. When I say alkaline on the pH scale everything above pH 7 is alkaline, on the pH scale neutral is 7 with everything lower being acidic as the number drops more acidic and everything above 7 being alkaline and more alkaline as the number climbs higher. This mixture of the baking soda and water is about a pH of 8. For reference below I have some examples to give you a better idea of pH levels in foods. When you consume foods/drinks that are more on the lower end of this scale you will likely be more prone to having heartburn symptoms due to their higher acidity. Though if you make yourself some water and add baking soda you will have a drink that is about a pH of 8 which will help neutralize the acid in the esophagus and balance the stomach acid and will help alleviate the heartburn. When you eat foods and drinks that are more acidic you have more acid passing down your esophagus and into the stomach. 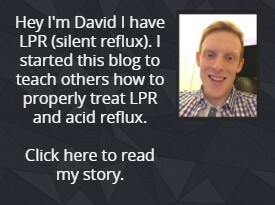 What happens is the acid refluxes from the stomach back up into the esophagus and this acid mixture will irritate your lower esophagus which is the part connected directly to your stomach. The acid passing up into the esophagus leads to the irritation and this irritation and burning feeling is also known as heartburn. When you take the baking soda and water mixture this will help neutralize and balance the acid to a more natural level and will help reduce your heartburn. How to Use Baking Soda to Help Heartburn? Mixing the baking soda with water is the best way to do it. You add ½ teaspoon of baking soda to 4 ounces(120ml) of water and stir thoroughly until the baking soda is mixed through. You can do this every 2 hours, but you shouldn’t consume over 3 ½ teaspoons per day. The main reason you don’t want to consume more than 3 ½ teaspoons per day is because of the salt (sodium) content of the baking soda. This is also why if you are a frequent heartburn sufferer baking soda isn’t the best long-term solution. Check the section further below to see advice for treating the root cause. Some people think baking powder is the same as baking soda and this is wrong. Baking powder for heartburn simply doesn’t work. The reason for this is because baking powder contains acidic salts on top of the baking soda base. This means that when mixed with water it won’t make it any more alkaline which is the point of adding it to the water in the first place. It therefore makes it effectively worthless for treating the heartburn. So, make sure to use baking soda NOT baking powder. If you are someone who only has the occasional heartburn occurrence treating it with some baking soda is not a problem. Though if you are someone who regularly gets heartburn treating it long-term with baking soda is not a good long-term solution. When someone has frequent heartburn like this they may have what is known by as GERD (Gastroesophageal reflux disease). Though don’t worry this can easily be treated for most people with a change of diet or avoidance of certain foods and drinks (below I have listed some foods which can cause heartburn and I would advise you avoid if you are suffering from regular heartburn). A final piece of advice I would offer if you are suffering from regular heartburn is too simply eat smaller meals. The more you fill up your stomach the more pressure it is under due to being overloaded and the more likely it will reflux acid back up and give you heartburn. Also, if you suffer from nighttime heartburn not eating food 3 hours before bedtime is a good idea. Next articleKoufman Diet / Dropping Acid Diet Book – How Effective Is It?